Have baby, will travel? There’s a veritable glut of travel cots on the market, but not all portable baby beds are equal, so here’s our pick of the best. Baby Bjorn is one of those fabulous brands I’ve grown to trust, and turn to when searching for baby equipment basics. The Baby Bjorn Travel Cot Light is everything a travel cot should be: portable, light (only five kilograms), sturdy and comfortable. If bright and cheery is on your must-have list for a travel cot – we have you covered. The Koo-di pop up travel cot is as cute as pie. Suitable from birth to eighteen months, it comes with a padded mattress and zip up mosquito net to ensure a restful sleep. It’s available from Rosie Pose for $89.95. Phil & Teds’ Traveller Travel Cot is a portable cot and playpen in one. 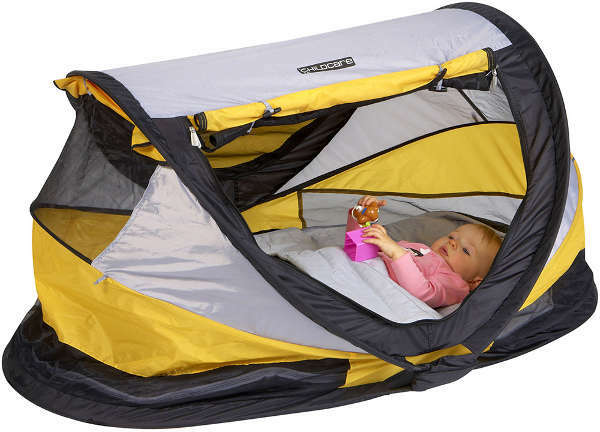 It comes with a self-inflating cushion, and when baby isn’t sleeping but needs to remain contained it can be used as a playpen. It makes a fantastic holiday addition. It’s $199 from Minimee. The Phil & Teds’ Nest is designed for use from newborn to nine months (or babies weighing nine kilos). It’s a snug, comforting place for babies to sleep when they can’t be in their own beds, and weighs just two kilos. It’s $84.95 from Babies Online. 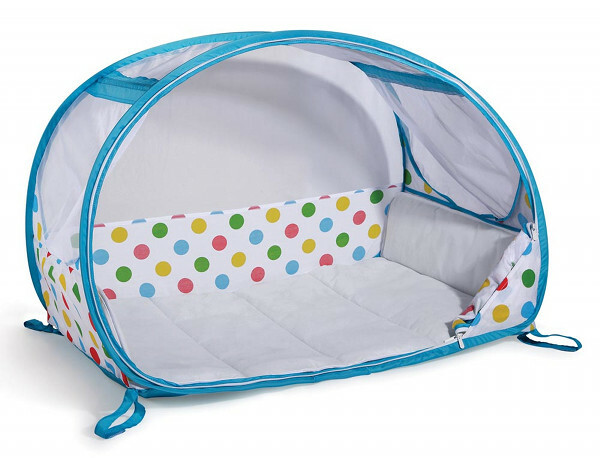 The Kids Travel Cot is the perfect place for a serious little camper to rest their head. It’s made from flame-retardant fabric, and creates a spacious sleeping compartment for children. It’s $176.50 from Kitout. If you’re a keen beachgoer, the Childcare Peuter Luxe Dome is safe in the sun . The washable nylon fabric is SPF 50. 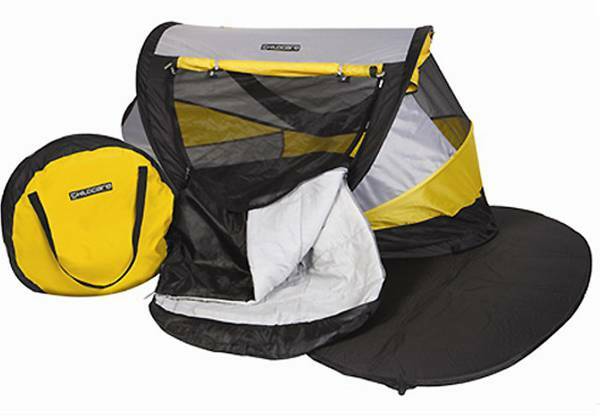 It has a self inflating mattress, is lovely and light – and pops up, making it a breeze to set up on the sand. It’s available from Baby Bedding for $149.95. Finally, here’s one for toddlers. 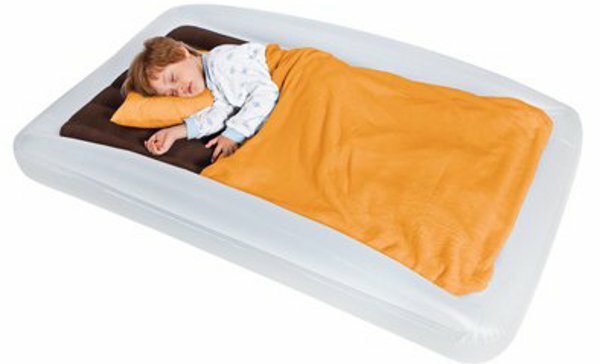 The Shrunks Toddler Travel Bed is designed for children two years and over. This is an ingenious design, and perfect for sleepovers. 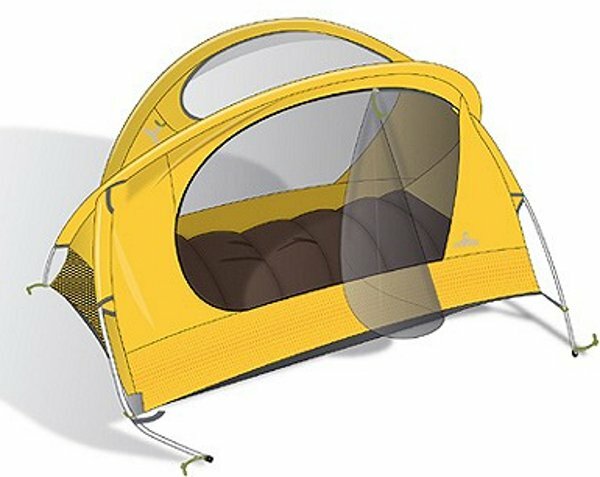 It has anti-roll security edges and a soft sleeping area. The sheets can be tucked into the inner mattress, making it feel a little more like a traditional bed. It’s available from Urban Baby, for $99, and that includes the foot pump.